I’ll never forget how I felt one particular day upon returning to the NICU after grabbing a bite to eat. The nurse on shift had updated my son’s vitals on the little white board in the cubicle that served as his home during his stay in the nursery: vitals/weight/ bath. Bath. They had given him a bath. His first bath. And I had missed it. A bath was only one of many “firsts” that we would miss during his NICU stay (or as a result of): feeding him for the first time, changing his first diaper, newborn photos, and perhaps the most painful of all, his first night in the world. Theodore Joshua Shipper was born April 19, 2011, two months ahead of schedule. His labor was fast and hard and before I knew it, my husband and I were sitting alone in my recovery room, eating the meal our friends had brought us. I was smiling because I was still amped up from the surging adrenaline that labor brought on, yet I inside I felt incredible empty and alone. I didn’t even know where they had taken my baby. We were unable to hold or even see our new baby boy those first few hours, as the NICU staff tested him and tended to his many preemie needs. 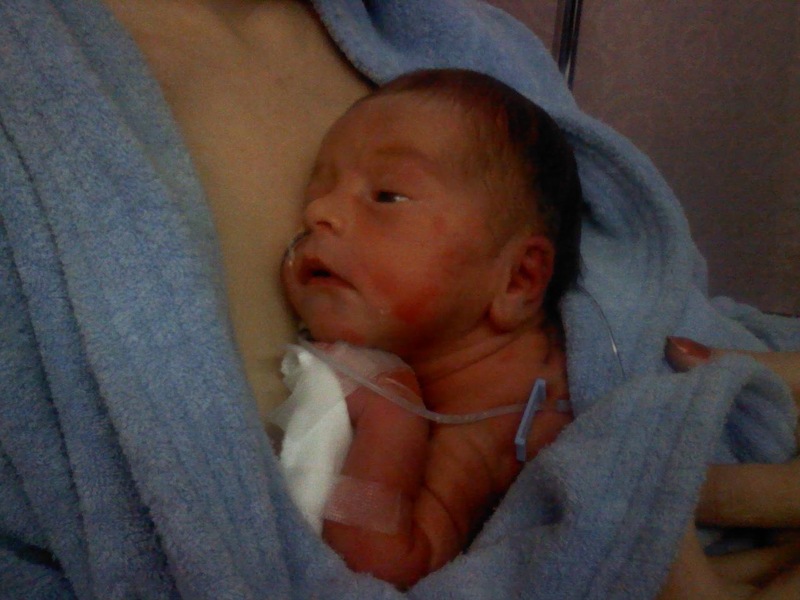 When we were finally able to see him, we were accompanied by my brother Josh who had been there for the whole delivery. 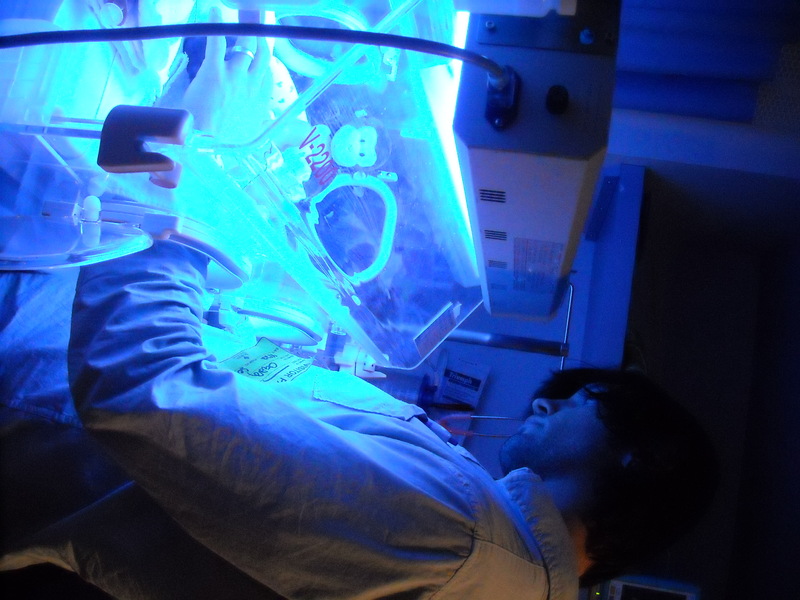 It was a surreal feeling: sitting next to the incubator, looking at my baby who had been inside me only a few short hours ago, who now, I was unable to touch. We introduced my brother, who Theodore Joshua is named after, yet it felt slightly distant and impersonal, as though this baby who we couldn’t hold wasn’t our to know. Soon, our days took on a natural rhythm, as they were divided into two distinct and very separate categories: The time we were allowed in the NICU, and the time we weren’t. Our time in the NICU was largely spent sitting next to the incubator, talking to Theo, talking about Theo, or doing the few things we could do to care for Theo. 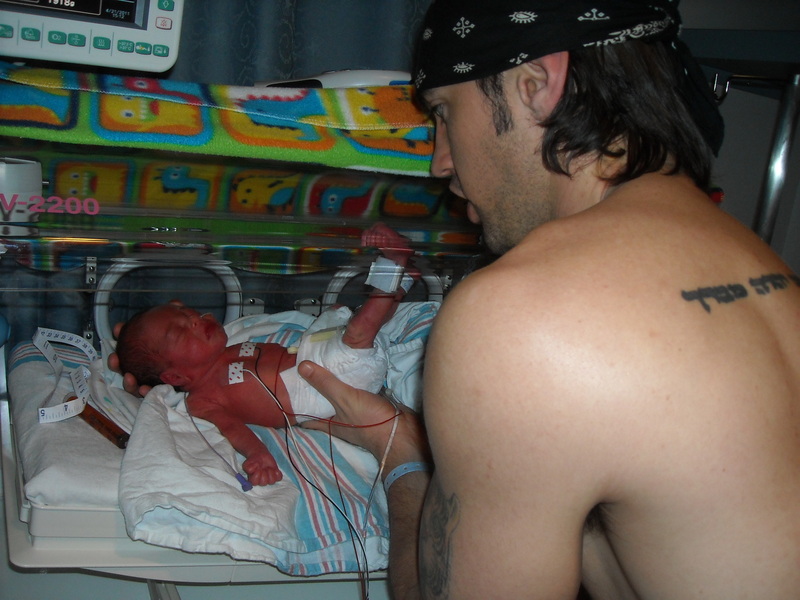 Although a difficult situation, my time in the NICU felt safe. My little family was sheltered in the warm cocoon of the NICU where the kind and gentle nursing staff worked silently and expertly around us as we sat in overstuffed rocking chairs, quietly talking. Our time outside of the NICU stretched around us like a terrible dream where we attempted to do the things we would normally do. We ate. We slept. Mike even went to work. 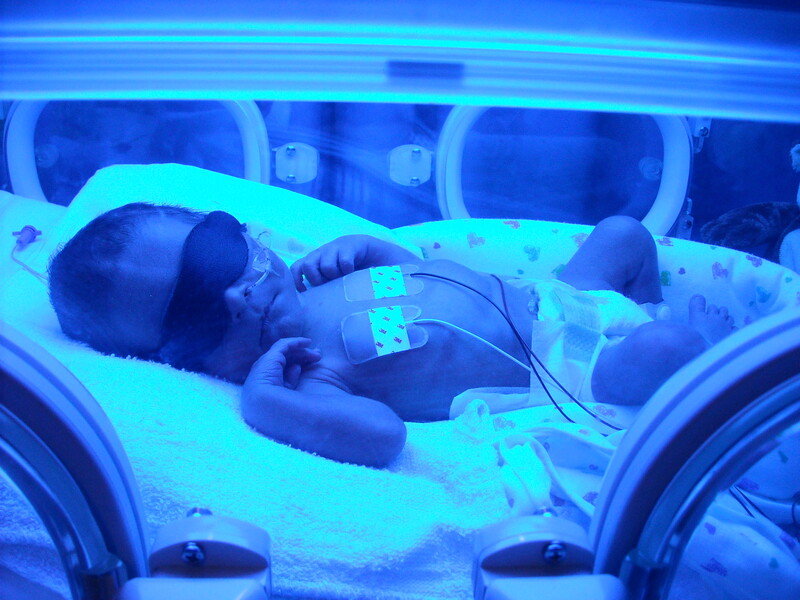 But these average things that everyone does on a daily basis were now done on NICU time, and mostly in the hospital. I would eat all my meals in the hospital, and when I couldn’t go to the NICI, I would nap on a plastic couch in one of the hospitals quieter lobbies. Mike and I would head home late at night for a few hours of sleep, only to return to the hospital the next morning. Sometimes I would go by myself or with another family member if Mike was at work. 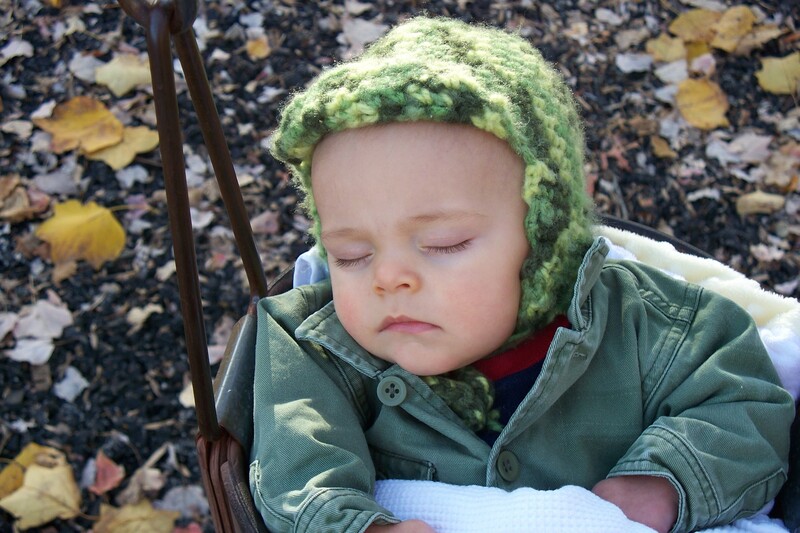 As Theo become stronger, we were able to take more and more responsibility in his care. We helped change his diapers, weigh him, and were able to do “kangaroo care” with him; a wonderful time of skin-to-skin contact that was good for baby, and uplifting to mommy and daddy. Finally, after three weeks, it was time to bring Theo home. We were excited, but also scared. For three weeks, all of Theo’s care had either been done for us, or at the least, highly monitored by medical experts. One of our final lessons, after tips for what to do in case he stopped breathing, was a quick tutorial on how to give him a bath. Life with Theo at home was hard, but the difficulties were punctuated by the hurt and disappointment of having a experience that fell short of what I had expected. Nothing was as I had hoped it would be. I felt ill equipped to handle this little boy with all his special needs, especially when I was struggling with my own feelings of loss and disappointment. I wanted a normal baby. I wanted a normal experience. Instead, amongst other things, I had a newborn who would. not. stop. crying. I know, I know. You say your baby cried all the time. But I’m telling you. For 9 months, he didn’t stop crying around the clock. My feelings of detachment, that I was just taking care of someone else’s child, didn’t go away, and I began to wonder how much longer I could go on. Then one day, I was sharing my struggles with someone, a stranger really. I told her how ill equipped I was at being a mother, and that I felt like I had been dealt a hand that I wasn’t capable of playing. At first, I thought this person was ignoring me, because it appeared like she was texting on her phone. Suddenly, she looked up. I didn’t. My husband had suggested the name and I immediately liked it. Those words, as simple as they may sound, changed everything for me. But, when I’m able to forget my expectations of motherhood, being a parent, and even who I think Theo should be, I mean really just chuck those expectations out the window, then I am left with the breathing room to just enjoy my little gift. It doesn’t make the hard things less hard, or the frustrating things less frustrating, but it puts it in a perspective that is both realistic, and manageable. What’s more, it gives me the space to just pause, and enjoy the new life that I’ve been blessed with. Tomorrow, Theo turns three. My mind can’t fully comprehend the words my fingers just typed. Three. Those weeks in the NICU seem like ages ago, yet at the same time, the emotions and memories are so fresh. So too are the hurts, the fears, and loss that I felt. But one thing that has changed, is my perspective. I wish I could go back and tell myself that I could do this. That everything might not be “ok,” but that this was a start to something new and wonderful, and not a setback. I wish I could tell myself to let go of everything I thought I knew, to open my eyes to each new day as if opening a gift, with great anticipation, wonder, and excitement. Happy birthday baby boy. No gift will ever top the gift you gave me when you came into my life three years ago, and made me your mom. Thanks for sharing this. My favorite line that you wrote was “all of these emotions are exaggerated when I hold my reality up to my expectations.” Such a good reminder. That was really touching, Bekah. I’m way behind on blog reading, but read this this evening and wanted to comment…thanks for so openly sharing your journey of becoming a parent to Theo and the struggles and pain along the way. I am grateful for your honesty. And for the fact that I have a better glimpse into your life over the past number of years. Hope that one of these days we can catch up face to face!